IRVINE, CA—June 7, 2012—Sonnet today announced the shipment of its xMac™ mini Server, a combination PCIe 2.0 expansion system and 1U rack-mount enclosure for Mac® mini with Thunderbolt™ ports. This innovative Sonnet product recently received a Post Pick Award at the 2012 NAB Show, granted to select best-in-show offerings that are destined to have the greatest impact on post-production workflows. xMac mini Server transforms a Mac mini into a full-fledged expandable rackmount server, mounting the computer inside a specially designed 1U rackmount enclosure that contains two PCI Express® (PCIe) 2.0 slots that connect to the computer through its Thunderbolt™ port. The expansion system features a 100W power supply and employs variable speed fans to cool the cards and computer. This system enables users to plug in two PCIe adapter cards (one half-length/low profile and one full-length/full-height) to slots connected to the Mac mini via an included Thunderbolt cable, while enabling the daisy chain connection of additional Thunderbolt peripherals to the xMac mini Server’s second Thunderbolt port. The Mac mini’s Gigabit Ethernet, USB, and HDMI interfaces are extended to panel-mounted connectors on the back of the unit. With these features, the Mac mini is able to use expansion cards normally usable only in the Mac Pro®, and is ideally suited as a stand-in for the now-discontinued Xserve® for a smaller, lighter, and more compact footprint. This makes it ideal for use cases such as a back office RAID Server, a metadata controller or mobile rack frequently used in mobile pro audio, or on-location shoots for cinema and other media projects. xMac mini Server requires the use of Thunderbolt-compatible PCIe expansion cards. Compatible cards fall into numerous categories including pro audio, Ethernet, Fibre Channel, SAS/SATA RAID controllers, video capture, and editing, with the list continually expanding as more cards are tested and certified. xMac Mini Server (part number XMAC-MS) is available now for $1,295. More information on the product and compatible PCIe expansion cards is available at www.sonnettech.com/product/xmacminiserver.html. Sonnet Technologies Inc. is a leader in providing storage systems, media readers, expansion cards, and Thunderbolt™ technology PCIe expansion products for professional users of Mac®, Windows®, and UNIX® systems in the film, video, and broadcast industries. Sonnet’s line of Thunderbolt expansion products enables the use of video capture and editing, audio interface, RAID controller, and other high-performance PCIe cards with mini, portable, and all-in-one computers. 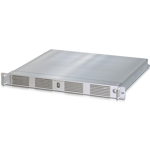 The company’s storage product line features a range of high-performance, cost-effective, and reliable desktop and rackmount RAID storage solutions ranging from two- and four-drive portable units, to eight- and 16-drive desktop attached storage with advanced RAID controllers, to 16-drive, 16-port, 8Gb Fibre Channel shared storage systems that are expandable to 512TB. Celebrating 26 years in business, Sonnet has pioneered and brought to market numerous innovative solutions that enhance the performance and connectivity of Mac, Windows, and other industry-standard computers. More information on Sonnet and its products is available at www.sonnettech.com.